Dicton looks well placed again when he lines up in the Kranji Stakes B over 1600m on the Polytrack in Singapore on Friday night. The Cliff Brown-trained runner comes off a good win by just under three lengths over this C/D last time out and the former French runner has been terrific in both outings on the polytrack to this point. Dicton had very little luck when winning the Seristine Cup last start caught wide throughout, but was still able to race away in the straight for an easy win and that will hold him in good stead for this race. John Powell goes back on board and from barrier 4 in a fairly small field would expect him to not be far away from the speed. Despite having just the one win in Singapore to his name, his last start effort rates very well against his rivals in this field and remaining on the pollytrack will also suit. 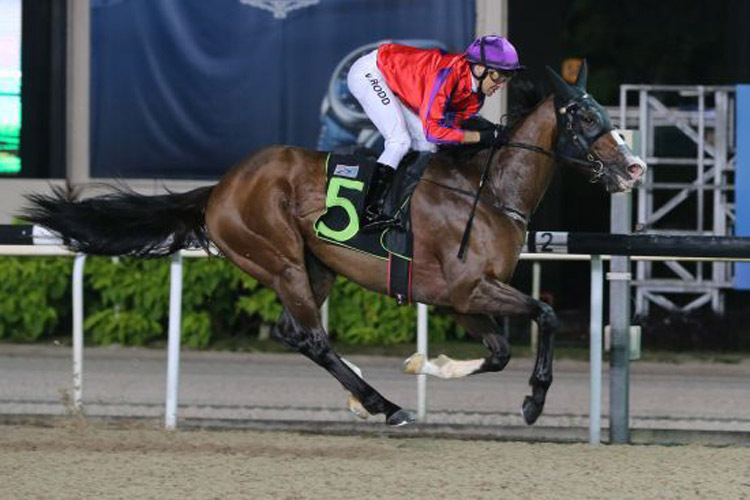 The five-year-old gelding won six races in France for his previous stable before and now with the Singapore win under his belt I would not be surprised to see him go on with it now and make it two in a row. Mr Dujardin looks the main danger after resuming in good order with a second placing to Tesoro Privado in a Kranji Stakes C over this trip on the turf last start. The lightly raced four-year-old gelding has shown plenty of ability in his short career but steps out on the polytrack for the first time in this. Mr Dujardin finished last campaign with a fifth placing in the Singapore Guineas and he has won over the 1 m previously. You would expect the Lee Freedman-trained runner to improve off his first up effort but the fact he is yet to race on the Polytrack is of slight concern against Dicton who won on that surface last start. With just the 118lbs and jumping from barrier 2, Mr Dujardin has the form on the board to be very competitive in this field and if he handles the Polytrack I would not be surprised to see him get the better of Dicton. Robin Hood also comes into consideration despite producing a disappointing effort last start over 6 f on the turf. Form prior to that was good however which includes a nice win over 7 f before going on to run third in two subsequent outings one of which came over this trip on the Polytrack. The well tried seven-year-old does not win out of turn but there is enough to like about his recent form in similar company to this and back up to the mile now could pose a threat. Chairman could also improve on his first up effort and dropping back in class for this looks an each way chance.